Scientific Breakthrough... Or a Really Bad Idea? Research geneticist and genetic engineer, Lionel Adams is onto something hot --the key to unlocking the vast reserves of the human mind. Everyone is interested in it. Bio Vita Tech, the genetics research lab he works for, is excited about the possibilities and the potential mega-profits. So are their foreign competitors who are counting on their inside man at Bio Vita to deliver Adam's secret into their hands. Grab your copy today, and don't miss the special offer for another exciting science fiction story inside. 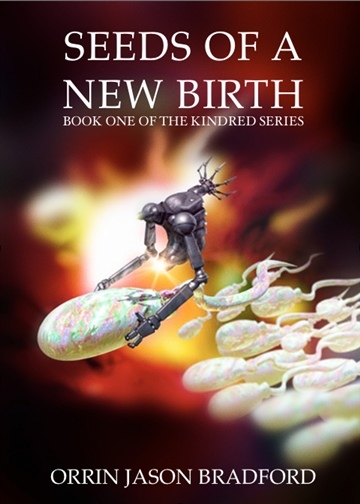 Order your copy of book two of the Kindred Series, Seeds of a New Power. Now available at http://amzn.com/B00S4DDR96. Orrin Jason Bradford is a pen name for visionary author, W. Bradford Swift, who chose to use a pen name for The Kindred Series in an effort to make it clear to his Young Adult fantasy readers that this book is of another breed entirely. "A great read! Fast paced and thought provoking." ~ Mark S.
"Touched on my concern about the fine line in science field vs. the draw devasting greed." ~ Sheila K.
"Book is well-plotted with interesting characters and a fascinating premise. Can't wait for the sequel." ~ Steven S.